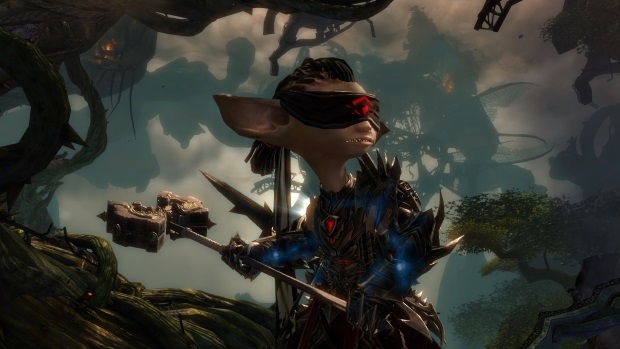 This afternoon on Guild Wars 2‘s weekly “Points of Interest” livestream, the team focused showcasing the new Revenant class coming in the Heart of Thorns expansion. The featured gameplay of the Revenant focused on its recently revealed skills and legends. The Revenant is a class that goes back to many of the mechanics and lore of the original Guild Wars series, and acts as a blend of fighter, brawler, and dark magic user. Shown were the hammer, mace, and axe weapons, along with the Legendary Stances of Jalis and Mallyx, but there are more weapon sets and legendaries to be shown in the future. One thing of quick note is the energy mechanic. 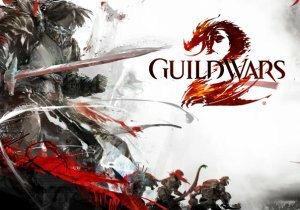 For those who aren’t familiar with, or don’t remember from their Guild Wars days, energy fuels the attacks of a Revenant. Each attack costs energy, shown as a small bar on screen between stances and weapon skills. Weapon skills take small amounts of energy to use, while legend skills take large amounts of energy (some skills also act as upkeep skills, which will continue to use energy until cancelled or energy is depleted). This adds an extra layer of depth and strategy as players must carefully use this resource so as not to gimp themselves when in need of a specific attack. 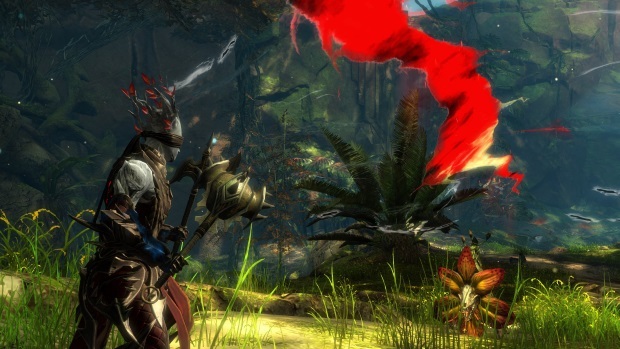 The Hammer has always been a two-handed melee weapon in Guild Wars 2, but for the Revenant, it transforms into a ranged weapon (similar to the way a Mesmer uses a Great Sword). Its first skill throws forward a hammer and pierces enemies in a line. The second, Coalescence of Rain, creates a cascading attack (using new tech) that creatures further attacks over time and does greater damage over a longer distance. The third skill is a somewhat ranged snare, letting players leap forward at a ground target and damage and chill enemies. Hammer’s fourth skill, Field of The Mists, also uses new mechanics to summon a wall of projectile protection in front of the character. Unlike other skills, this protective wall stays with the character, moving and changing direction as the character moves, making use of its positioning key. 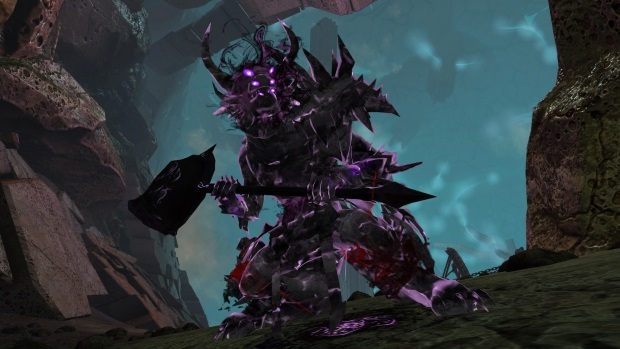 Hammer’s fifth and final skill adds more to the control aspect of the weapon set, doing a large knock down and damage to an area to help Revenants keep enemies at range. Mace and Axe were also shown as a combination, with Mace taking the main hand slot. Mace’s first attack is a three-part combo, where the first two attacks do torment damage, and the final attack is a poison attack that chains between enemies and bounces damage and conditions to enemies behind the target. The second mace attack creates a thin line of fire that creates a field from the character, and the third is a triple-blast finisher that creates a cascading blast after leaping at the enemy. Axe’s first off-hand ability teleports players to the enemy to deal damage, but its second ability is also quite new. Called Temporal Rift, the character uses their axe to cut a rift into the mist in front of their character. After a short time, this rift will collapse, pulling enemies into it and trapping them again in front of the Revenant. As for Legendary Stances, players have a lot to look forward there, too. Legends can be slotted into one of two spots, which are used as alternating stances available for the Revenant. Their skills then go into the right-hand side of the skill bar, offering a full complementary set of abilities. 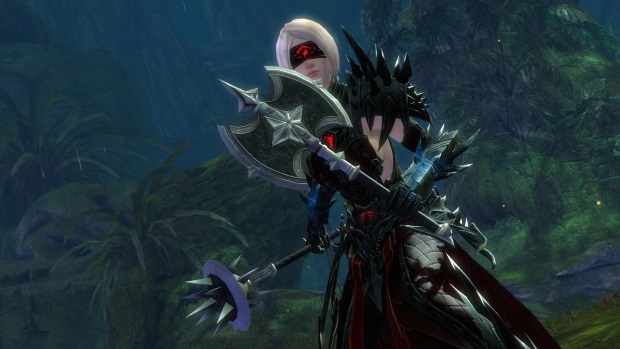 Jalis Ironhammer’s skill set offers some tanky and defensive abilities. These abilities include Inspiring Reinforcement, which is an angled skill ground attack that grants stability while weakening enemies; Vengeful Hammers, which swirls hammers around the character with an energy upkeep; and an area defense boon for players to assist themselves along with their allies. Malyxx’s set is designed to be more offensive, and uses a unique condition manipulation mechanic. Here players can use Resistance (a boon) to allow conditions to remain on them without causing negative effects. Malyxx users will be able to use these stacks of conditions to boost their skills, including increasing the effectiveness of their heal, adding bonus conditions to enemies on attacks, and pulsing outward conditions to grant them back to enemies forcefully. Malyxx’s skill set also uses a “reverse shadowstep,” which forces enemies away from an area, along with a boon removal attack. Also shown for the Revenant, briefly, were three of the Trait lines (Corruption for Malyxx, Retribution for Jalis, and Invocation for general Revenant mechanics) and the downed skills, which include a slow, a displace beam, and a pull. We’re looking forward to seeing what else this powerhouse of a class will offer as it gets revealed! Calibur Studios have officially launched the Kickstarter for their pitched title, Valor.